Pipe Solutions Ltd.'s growing success is due not only to the wide range of products we offer, but because we provide an unrivalled level of technical advice, service, and support to our customers. Pipe Solutions Ltd. does not just sell products. We place particular emphasis on providing our clients with an engineered solution. Our ability to provide this service is founded on many years of combined experience in this field. We have the knowledge to solve problems, and we always aim to make our clients aware of the potential solutions that exist. Thermal pipe expansion and contraction, due to changes in media temperature, are a significant problem that must not be overlooked by the pipe system designer and installer. If a pipe is subjected to thermal expansion, without necessary consideration, the potential result will be failed anchors, a buckled pipe or even damage to plant. Pipe Solutions Ltd will always advise if the expansion can be accommodated using the inherent flexibility of the pipe. However if natural flexibility is insufficient, we will advise the client on the application and location of expansion bellows, guides, anchors and skids. We can review drawings, marking these up with pertinent comments, and supply supporting calculations, before returning a technically sound submission for further discussion with the engineer. Click here for more information on our thermal expansion & building settlement products. 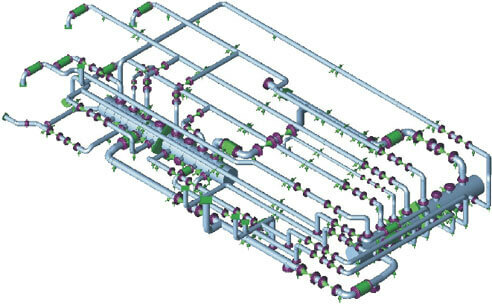 As well as empirical calculation, Pipe Solutions is able to offer computer aided design using CAESAR II® Pipe Stress Analysis. This enables our engineers to model and subsequently evaluate the structural responses and stresses of piping systems to international codes and standards. CAESAR II® produces accurate analysis, and assists our engineers in recommending practical design changes to the pipework system, if and when required. The pipework risers, and the steam piping systems in The Shard at London Bridge Quarter were modelled with CAESAR II® to see whether they required any additional restraints to control the expansion. Click here for more information on our pipe stress analysis service. Vibration energy, if not managed effectively, can travel throughout the pipework system, including sensitive occupied areas, and be radiated as unwanted sound or noise. Some solutions may not warrant vibration isolators, however if a natural solution is insufficient, we are able to perform the calculations to show isolation efficiencies that can be reached, and how the plant and pipework could be distributed over the isolators. We can work to high acoustic specifications, meeting the given noise Chetham Music Schoolcriteria levels, as those we achieved at the new BBC Media City, Salford and The Chetham Music School, Manchester. We can determine the optimum load to be carried at each support point as we did for plant rooms at National Wembley Stadium in London. 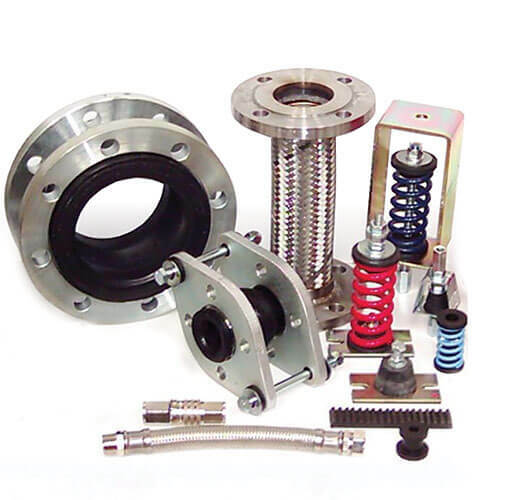 Click here for more information on our vibration & noise control products. Air and dirt (sludge) occur after the system is operational, causing circulation problems, inefficient heat transfer, corrosion and system noise. Pipe Solutions offers various tools to avoid these problems by the efficient removal on a continuous basis. 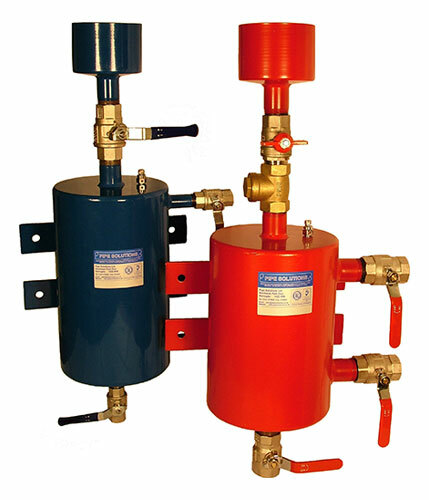 We also offer a range of both manual and automatic devices to facilitate the safe introduction of water treatment chemicals into heating and cooling systems. We will advise not only on product selection, but also on their positioning within the system to ensure maximum performance. Click here for more information on our de-aeration, dirt removal & water conditioning products.